A word of advice: Never(more) give the a raven a bad reputation, or else! 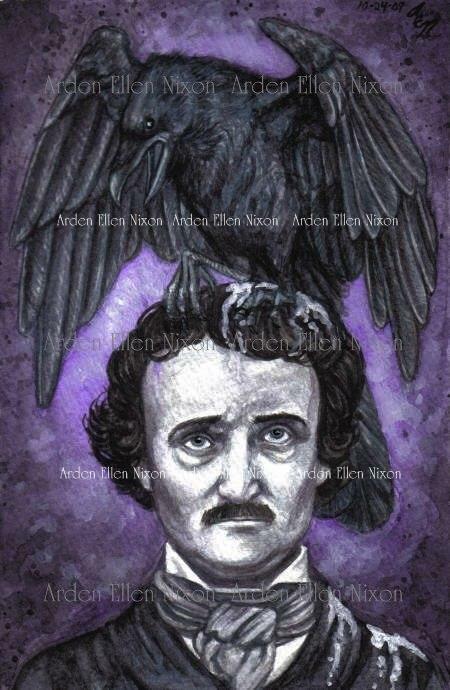 Let it be said that I have absolutely nothing against Edgar Allan Poe. In fact, I often pull out my copy of his complete works to read while waiting for paint to dry, as his poems and stories are both good and take the perfect length of time. However, given his rather depressing life, lop-sided face, and unpleasant personality, a raven purposefully--vengefully?--relieving itself on his head just seemed par for the course. No wonder he looks so resigned! !